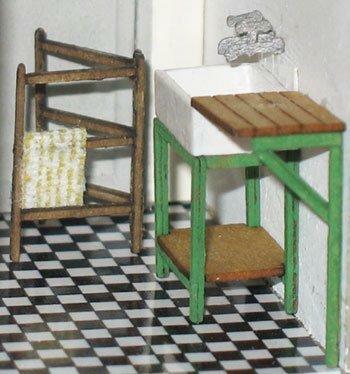 1/48th scale kitchen sink and clothes horse kit by Jane Harrop. Includes all precut wood and card pieces. You will also need tacky glue and acrylic paint.